Clothing/Jewelry Description A white sweatshirt, blue jeans, white Reebok sneakers and several rings, including one with the word "Love" and a black onyx stone. Distinguishing Characteristics Caucasian female. Black hair, brown eyes. Debra has a birthmark on her right leg near her calf. Her ears and navel are pierced. Her maiden name is Marlowe and some accounts refer to her as Debra Marlowe Asbury or Debra Jean Marlowe. 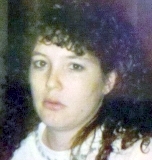 Debra was last seen leaving her home in the 400 block of Westside Drive in Lexington, North Carolina at approximately 8:00 a.m. on September 26, 1994. She'd told her sister she was going to meet her boyfriend, Andy Propst, at a store on west Fifth Avenue. Debra left her purse and keys behind, and also left food for the day's dinner defrosting on the kitchen counter. She has never been heard from again. Both Propst and Debra's ex-husband had previously threatened her, and the police were summoned to Debra's house on domestic violence complaints several times in the months before her disappearance. In July 1994, just two months before her disappearance, Debra was charged with shooting her ex-husband. She had filed assault charges against him twice. The first complaint, in 1993, was withdrawn. Debra made the second complaint in August 1994 and he had a court appearance about it scheduled for October. Debra has nine siblings and four children; her ex-husband was the father of one and the other three were fathered by Propst. Debra's youngest child was only six months old at the time of her disappearance. Her loved ones describe her as a devoted mother and stated it's uncharacteristic of her to leave without warning. Her case remains unsolved and foul play is suspected. Updated 4 times since October 12, 2004. Last updated February 12, 2019; three pictures added.